I made this cake for my Daughters Wedding. 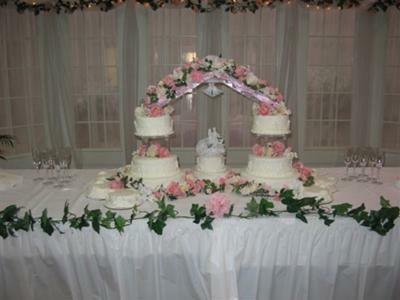 I did all the flowers on the bridge and each cake is a different flavor. It was a beautiful wedding cake.